Bungalow House in Las Pinas near Vistamall & Perpetual University. 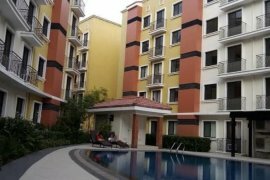 2 Bedroom Condo For Rent in Las Pinas near Airport and MOA. 170sqm Warehouse For Rent Las Pinas near Alabang. 3 Bedroom Condo for Rent in Pacific Coast Residences, Las Pinas. 1,000sqm Lot For Rent Las Pinas near Zapote. 4,125sqm Lot For Rent Las Pinas near Evacom Paranaque. 362sqm Warehouse For Rent Las Pinas near Alabang. For lease office space at Pascor drive, Sto. Nino Paranaque. 2000sqm Industrial Lot For Rent in Las Pinas. Fully furnished 4 BR for Rent in Ayala Southvale Sonera. 205sqm Commercial / Residential along Main Road House for Rent in BF Homes. Commercial Space for Rent in Las Pinas 600SQM. Two Bedroom Unit for Sale/Lease in Ohana Place, Las Pinas. One Bedroom Deluxe for Lease in Amaia Steps Alabang. Building Apartment/Condo for Lease in Las Pinas City. House & Lot for Sale/Rent in Portofino South, Las Pinas City. 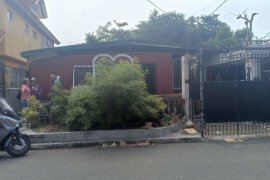 House & Lot for Lease in Southvale, Las Pinas City. Apartment for rent Alabang Zapote Las Pinas. 225sqm Warehouse Space for Rent in Las Piñas. Grade A PEZA commercial office for lease - Las Pinas City. 2,500 sqm PEZA office space for rent - Las Piñas. 95sqm Office Space For Rent in Las Pinas. 275sqm Warehouse with Office For Rent in Alamanza Las Piñas. Refurbished Big Bungalow with Swimming Pool for rent in BF Homes, Las Piñas. 1000sqm Warehouse For Lease in Las Piñas. Hello, Please contact me, I am interested in properties for Rent in Las Piñas. Best Regards. Dot Property Philippines is an online property portal where thousands of property searches happen every day. Start your search today for affordable property for rent in Las Piñas from 89 available listings. Condominiums, houses, townhouses, commercial space, and luxury properties are available for rent in Las Piñas. Las Piñas’s properties for rent are either listed by private home owners or property agents such as Michelle Madarang - Trusted Real Estate Broker, Gena Mahinay-Rilling and loreza 'dexra' asistio. The average asking price for property rentals in Las Piñas is ₱ 0 for houses and ₱ 0 for townhouses. Refine your search to help you find the perfect Las Piñas property by price and number of bedrooms.